CENTENNIAL 'SNOW DAY' - TONS OF FUN FOR EVERYONE! A huge Arctic Glacier truck pulled up in Menke Park on the cold but sunny Saturday morning of December 3, 2016, and a husky crew began setting up a structure of hay bales on which snow was sprayed to build a sledding area that offered thrills to those who slid down the slope. See a quick video clip at ﻿https://youtu.be/b96dqttqP-k﻿ More haybales nearby created a play-yard filled with snow, where little kids could romp and play safely. Hot cocoa, hot apple cider, and cookies were enjoyed by the hundreds of families who brought their kids to 'Snow Day.' There was a jump-house, and plenty of old-fashioned games on the upper terrace, as well as face-painting. A beautiful horse was present for petting and photos with kids. Santa Claus came to hear what all the kids (and some grown-ups) want for Christmas, and shiny commemorative ornaments were handed out. At the end of 'Snow Day' afternoon, the tall tree at the north side of Menke Park was lighted for the holiday season. There were many requests for 'Snow Day' to become annual event. 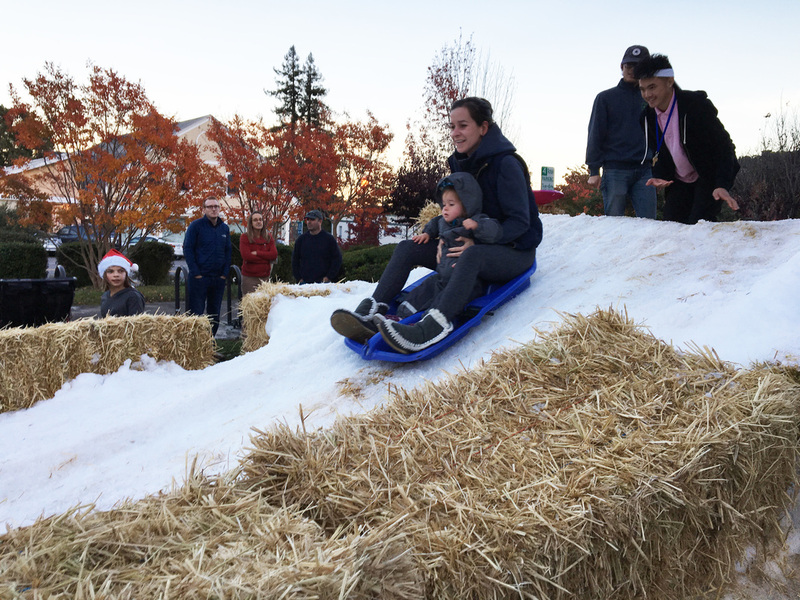 Like all of the other Centennial events during the year that were sponsored by the Centennial Committee, the Town of Corte Madera, the Corte Madera Chamber of Commerce, and other local civic organizations and businesses, 'Snow Day' was free of charge to everyone. 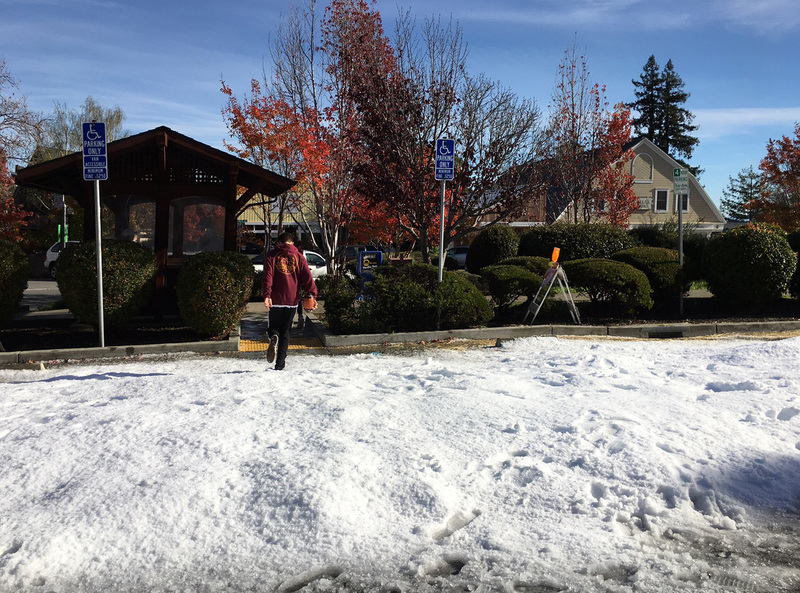 We'd be glad to post other photos taken at 'Snow Day,' so send them either as attachments to e-mail, or with a Dropbox link, to Grassroots.CorteMadera@comcast.net . They can also be dropped off on a flash drive at the Community Center. Digital photos of all the Centennial events throughout 2016 will be included in the new Time Capsule, to show folks in 2041 how we celebrated Corte Madera's 100th Birthday.